We are a group of musicians, enthusiastic listeners, historians, and technicians. 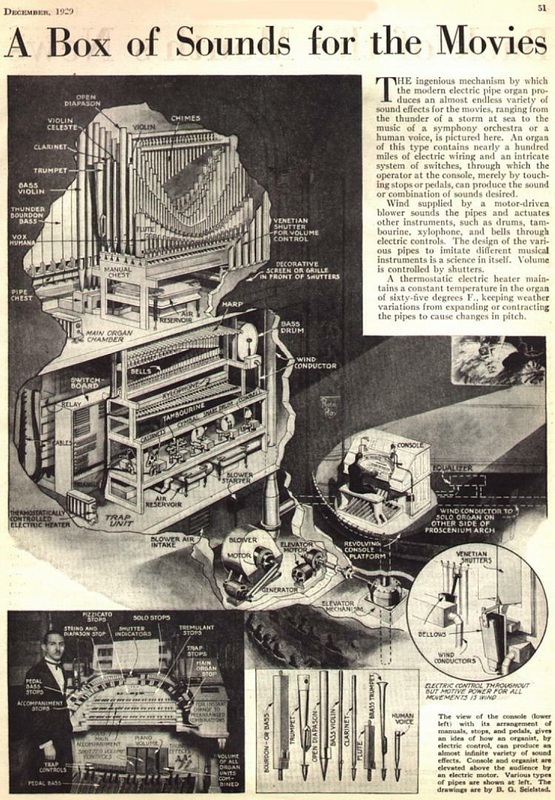 The only requirement is an interest in the theatre pipe organ, sometimes referred to as the "Unit Orchestra." A chapter of the American Theatre Organ Society (ATOS), ATOS Atlanta meets monthly to hear theatre organ programs by members and visiting artists, work on restoration projects, and enjoy social activities revolving around our passion for these magnificent instruments. Learn more about the theatre pipe organ below, or CLICK HERE to learn about joining our group! From a 1929 issue of Popular Science. Click to view a larger image.